Blue Chip Garliq is a liquid form of this powerful natural supplement, meaning that it is absorbed into the bloodstream faster and more efficiently made from pure, organic Spanish garlic. Aids the natural flow of food through the digestive system. 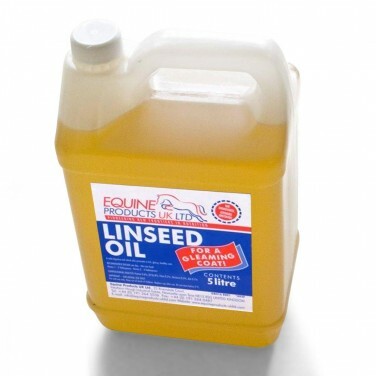 Contains over 50% pure linseed oil to lubricate the gut and provide beneficial omega 3 and omega 6 for a rich glossy coat. This unique liquid feed essential is designed to provide the horse with everything he needs, in one easy to use supplement. Dodson and Horrell's Build & Glow is a complementary feed stuff specifically for horses and ponies needing to gain weight. 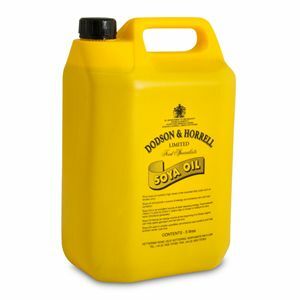 Dodson & Horrell Soya Oil is a traditional addition for your horse or pony’s diet and this supplement can help to improve your horse’s coat condition and shine. Helps to maintain healthy looking skin and coat. High in Omega 3 for flexibility, known to support itchy skins. For more stamina - gives energy without the 'fizz'. A very useful product for providing slow-release energy. Improves coat and body condition, ready to use. 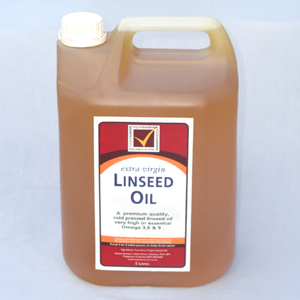 Rich in omega 3 fatty acids, (particularly linolenic acid and alpha-linoleic acid) supplementing with Linseed Oil will be reflected in a fabulous shiny coat. An easily absorbed, concentrated natural supplement for all-round well-being and vitality. With concentrated garlic oil, parsley oil, soya and linseed oil. Global Herb Flax Oil is made entirely of cold pressed linseed oil which is much more stable & safer to use on animals than oils gathered using other methods. 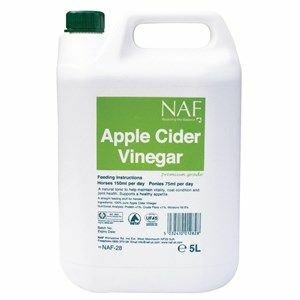 For daily use to promote healthy skin, respiration and digestion particularly in the summer months. 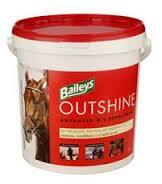 Omega D Oil is liquid sunshine for horses. Omega D contains cold pressed flax seed with the correct balance of omega 3, 6 and 9 which are known as essential fatty acids. Keyflow Key 3 Oil is a direct source Omega 3 DHA & EPA for Horses and Ponies. 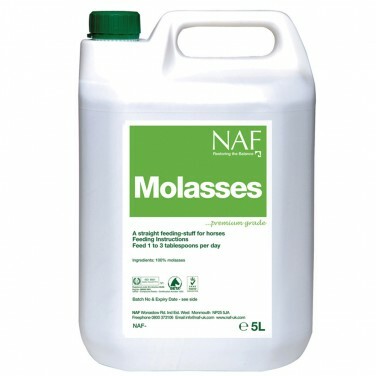 Lincoln Garlic, Parsley and Linseed Oil is an easily absorbed form of its combination of beneficial ingredients, providing all round wellbeing and vitality for your horse. Supports general health and maintains a rich, natural shine. 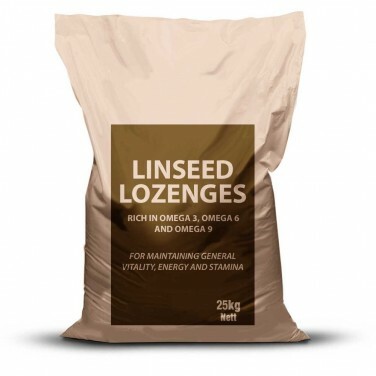 Rich in omega 3 fatty acids, (particularly linolenic acid and alpha-linoleic acid). 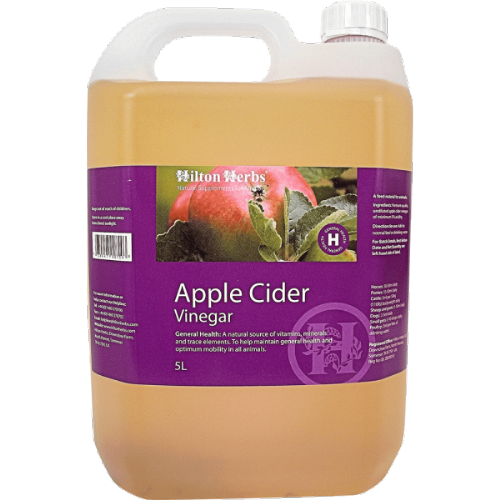 All the natural goodness of fresh apple is preserved in cider vinegar, making it an excellent source of Vitamins A and C and good quality carbohydrates. NAF Cod Liver Oil is rich in vitamins A and D, this readily assimilated oil is a valuable general aid to conditioning. Fats are an essential food and play many useful roles in the body, ranging from supplying energy to ensuring the integrity of cell membranes. Carron Oil is a balanced blend of Essential Fatty Acids (EFAs) derived from a high quality, cold pressed Linseed Oil, fortified with Calcium Hydroxide. 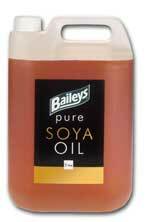 Pure soya oil rich in omega fatty acids that maintain healthy skin, coat and overall appearance. PowerStance is a unique powdered coconut oil supplement. PowerStance delivers the secret ingredient from CoolStance as a powder. A 100% pure cold pressed flax oil multiple feed supplement for horses that contains a natural source of omega 3, 6 and 9. 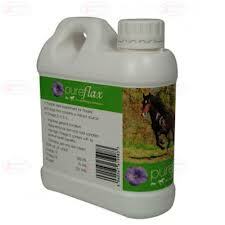 A 100% natural flax oil for working dogs that contains a natural source of omega 3 and 6. 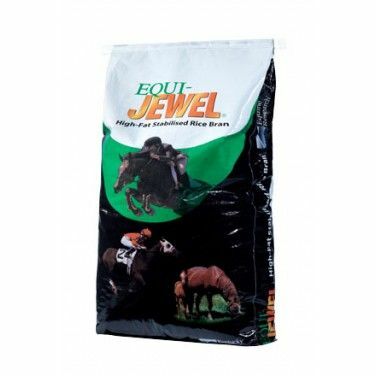 Saracen Equi-Jewel Pellets are a healthy way of adding concentrated calories into a horses diet without excessive cereal intake. Saracen Super Shine Soya Oil with Mint is a useful oil supplement that has now been made tasty to make it easier to feed to your horses. 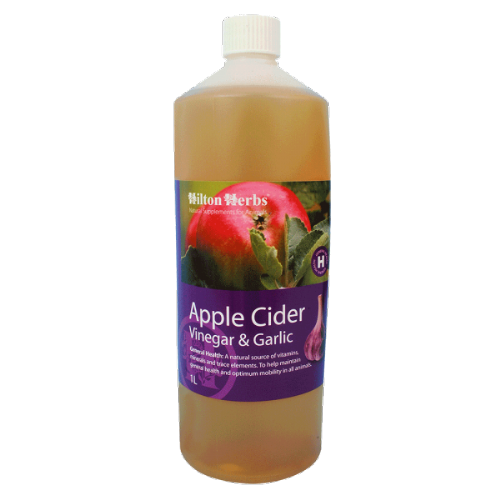 Simple System Organic Cider Vinegar has been proven to work in a wide range of situations whether it is used internally or externally to great effect. 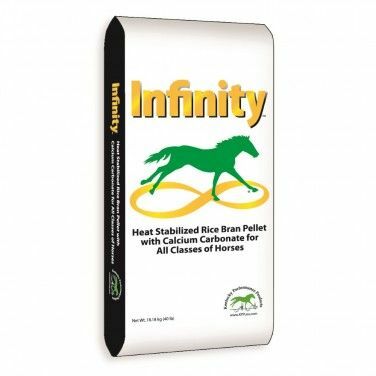 Vitamin fortified supplement blend for show horses, race horses, etc. Enriched with vitamins A, D and E. Produces a healthy, glossy coat. 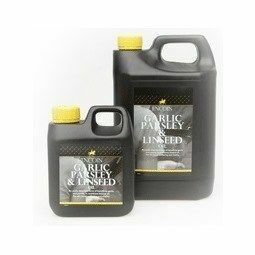 An easily absorbed form of garlic and parsley in a nutritious linseed oil base. Containing only the finest oils of garlic and parsley. .
Super Solvitax Pure Cod Liver Oil available in liquid form , the oil is an excellent source of vitamins A, D and E which all help maintain good skin, strong bones and teeth. Thunderbrook Black Oil Sunflower Seeds are high in protein, oil & fire as they are made left with the soft outer shells intact.